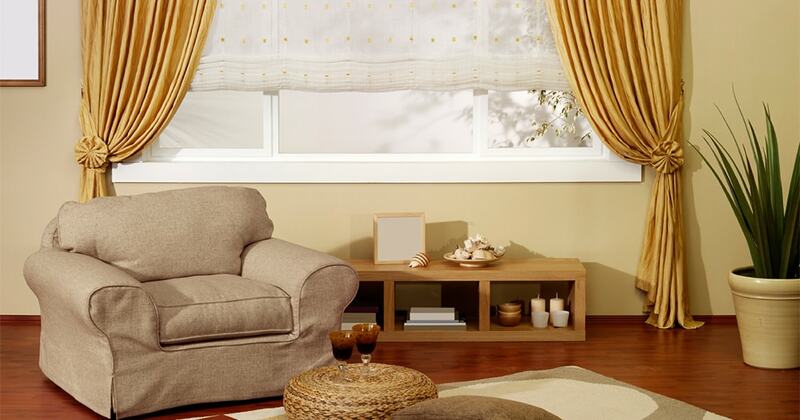 Give your windows the wow-factor with The Block's Carlene Duffy's expert guidance in how to choose curtains and drapes that will best fit your decorating scheme. Curtains recently made a comeback in interiors and they are nearly always my choice of window dressing because they are one of the few additions to your home that create instant softness and a sense of completion. Whether you choose to buy ready-made or you you require custom, it is good advice to first be equipped with a good understanding of your requirements. Anyone going in green to a curtain consult can be quickly overwhelmed with the choices available. Of course, your first consideration when choosing any window treatment should be about meeting your light and privacy requirements. However, this cannot be your only criteria. Your window dressings play a major role in the success of your interior so whether you want your curtains to be seamless or to make a statement, they need to be a well considered design choice. Before booking in a measure and quote there are a few elements you need to consider. The curtain heading style you choose should be influenced by the style of your home and the type of fabric you are opting for. Pencil pleat is more commonly used for traditional style homes; tab tops and eyelet headings create a more casual look; s-fold and inverted pleat curtains are a more contemporary choice; and s-folds are also the style of choice for sheer fabrics. In a consult, you will be offered the choice of a ceiling or wall mounted track and if you are building, some will be surprised to know that your curtains are something that should be considered in the framing stage of the build. If you can, build in a pelmet box in your ceiling so that you can recess your curtain. The end result means that the track is completely concealed and the curtain appears to be infinite. Your fabric choice (heavy weight blockout, semi blockout, sheers) will need to be considered based on your your light and privacy requirements and, of course, your intended interior style. Don’t be afraid to make a confident choice like a floral, two tone, or a timeless print like, ticking. Your curtain consultant will a give you an option on how full you want your curtains to appear, which is although an aesthetic consideration, will largely come down to price. The fuller the curtain, the more you will pay in fabric. Allowing your curtain to puddle creates a feeling of opulence and luxury and really works best in large spaces with high ceilings, such as a warehouse conversion. Having the curtain just touching the floor is my length of choice but you have to be prepared that any stretching in the fabric will mean you may have slight puddling down the track. 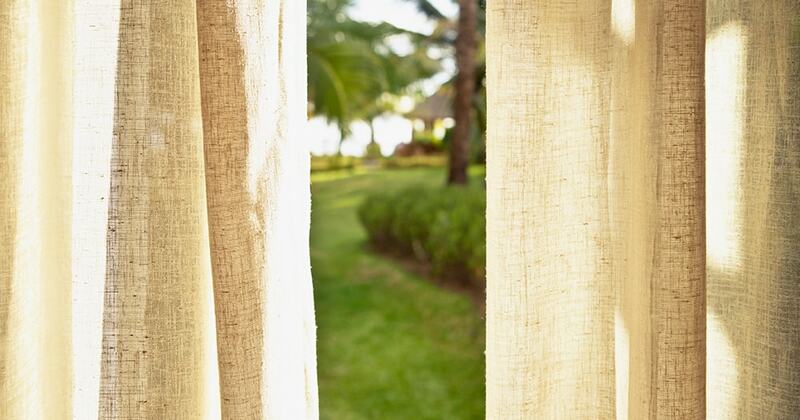 Keeping your curtain 5-10mm off the floor will ensure your curtain keeps its intended shape and is ideal in keeping your curtains clean and avoiding damage. My advice is to do some research and some hard thinking before booking a curtain measure and quote. Your consultant will of course guide you based on your situation but being prepared will save much confusion and reduce the risk of making a poor decision under pressure. Happy decorating. Love Interior Design? Design your future career in the Interior Design sector here.